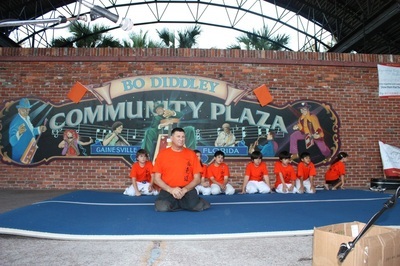 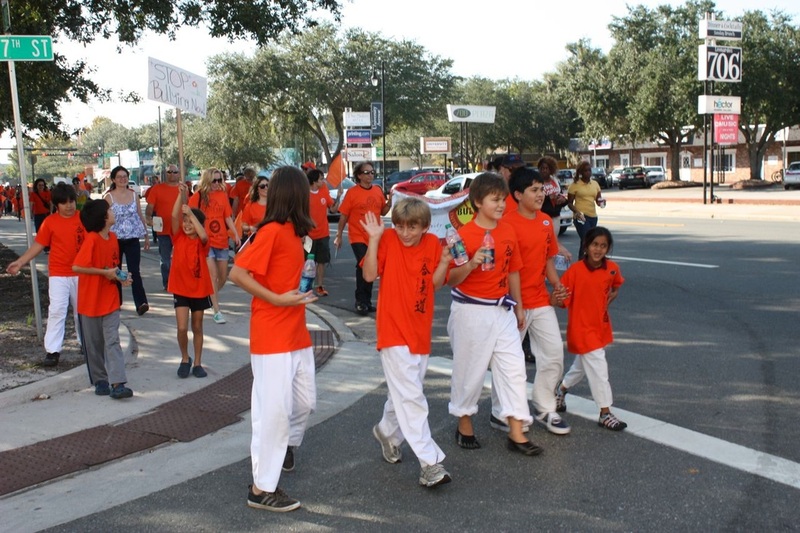 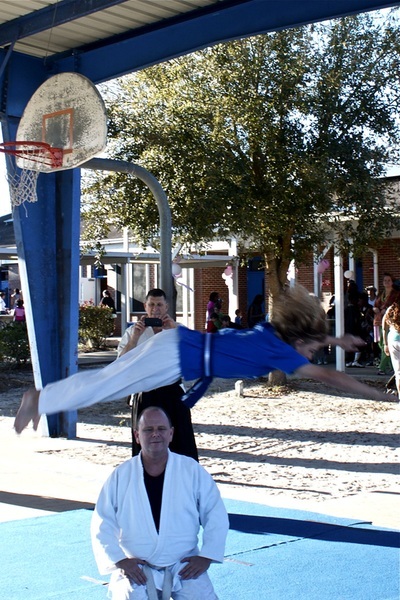 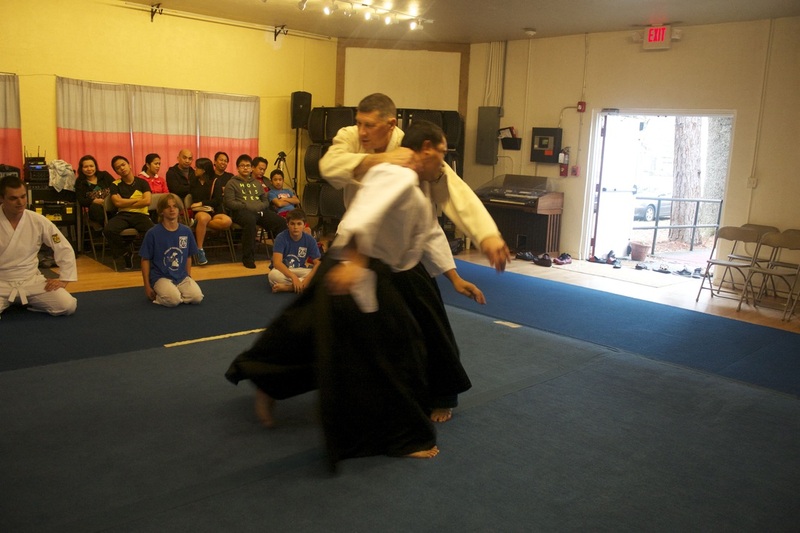 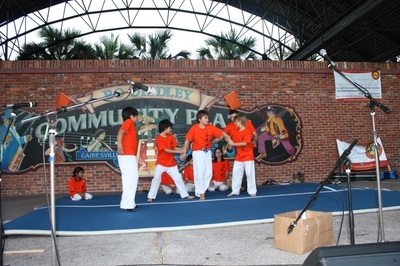 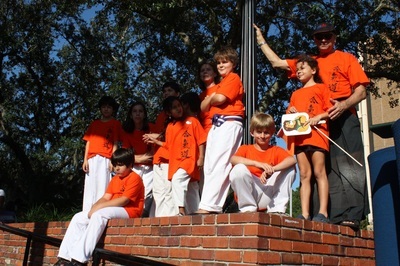 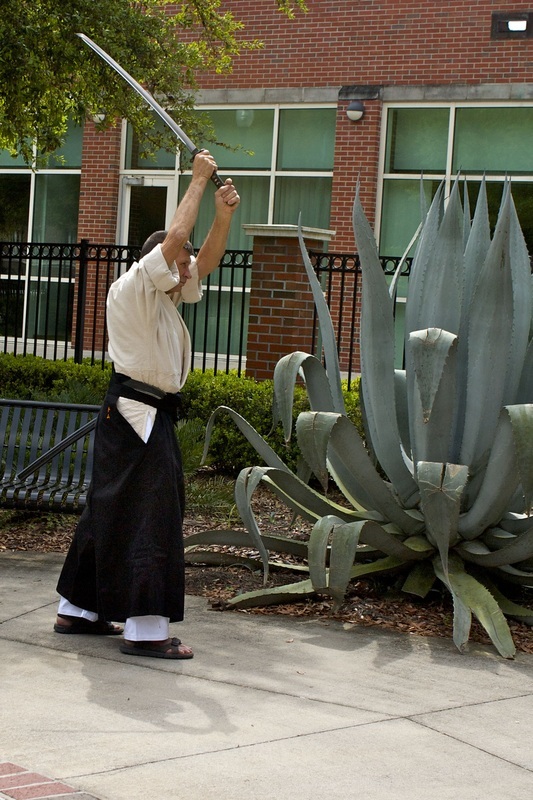 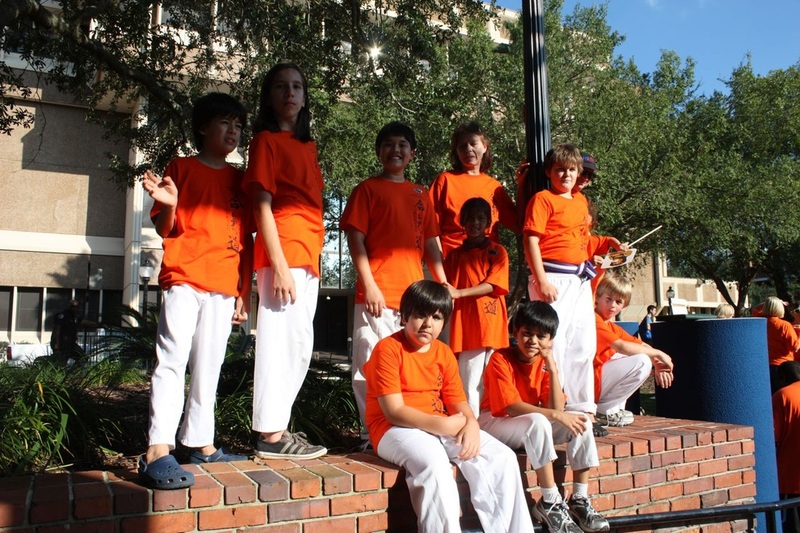 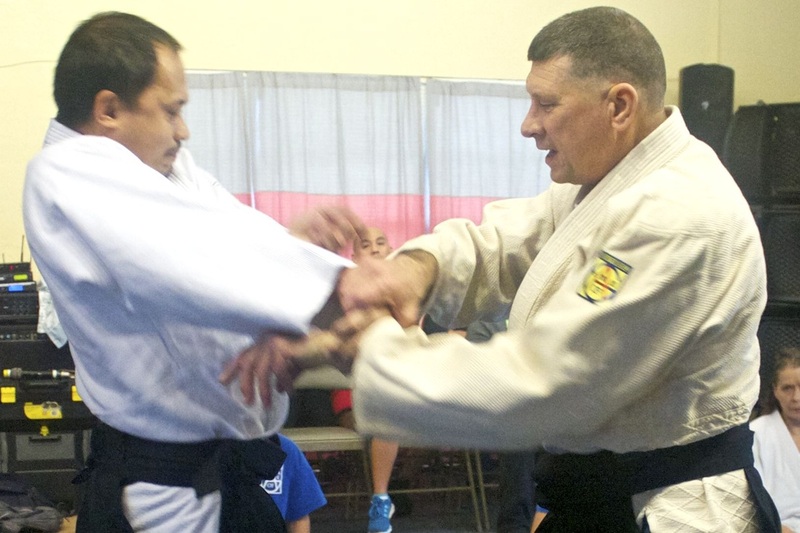 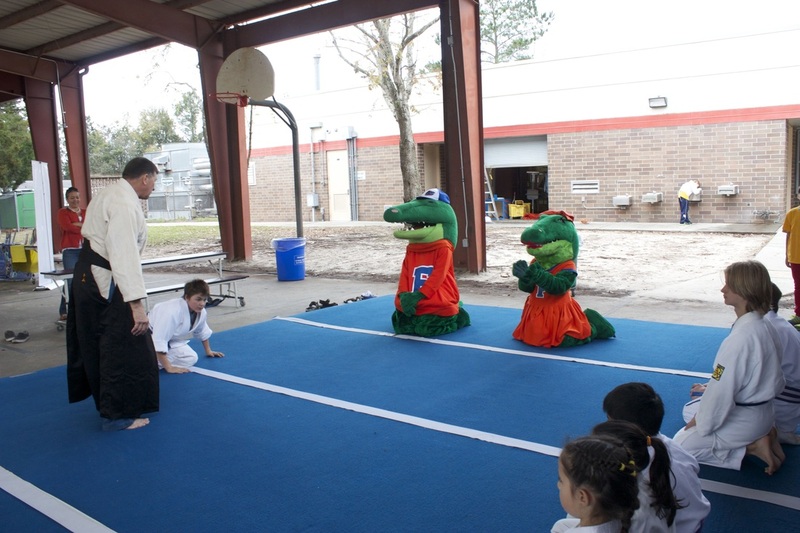 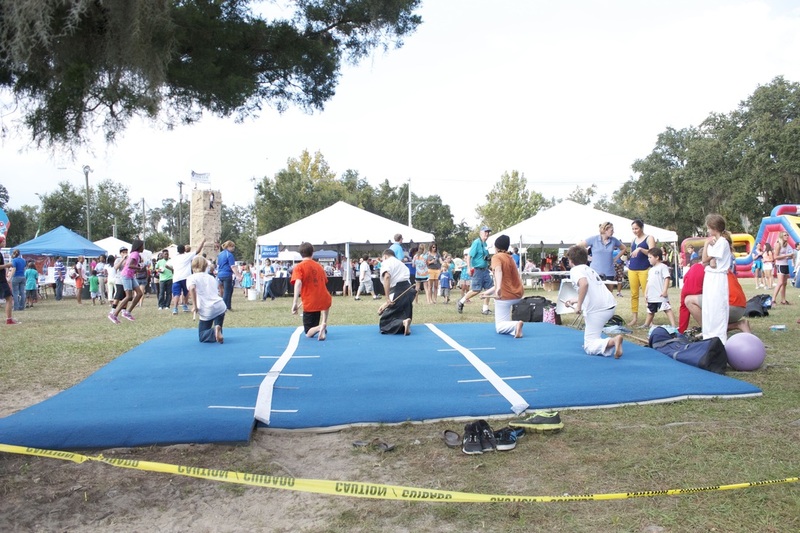 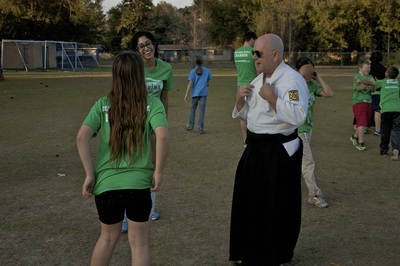 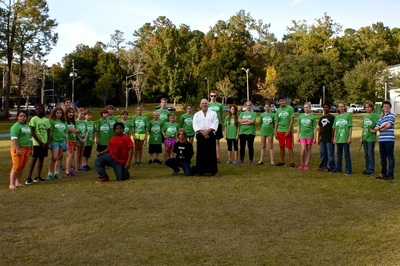 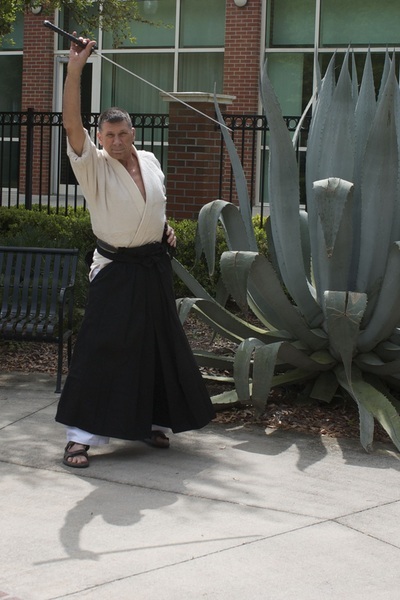 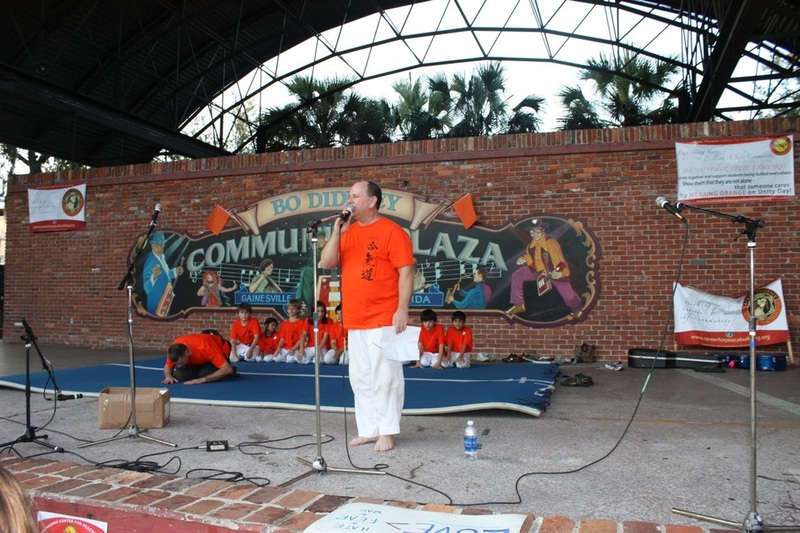 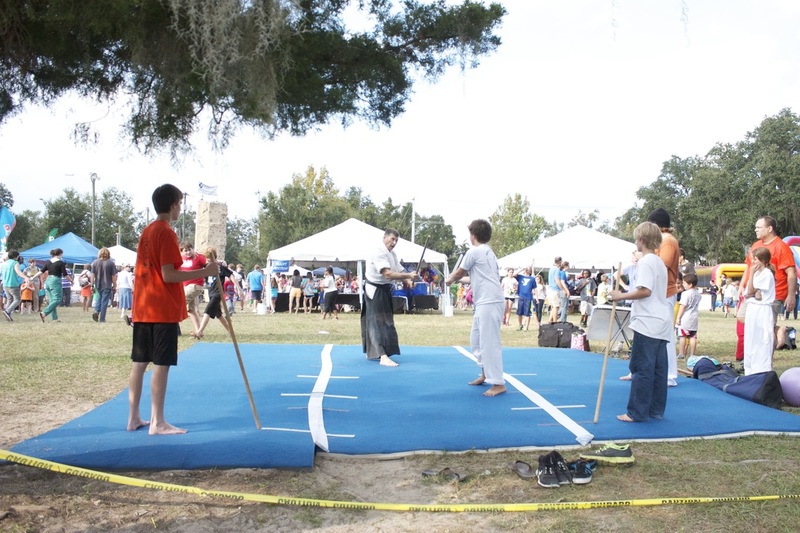 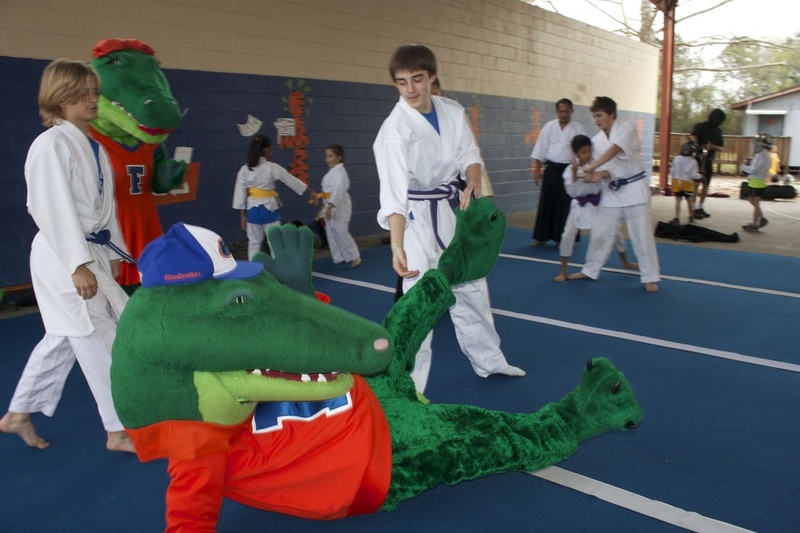 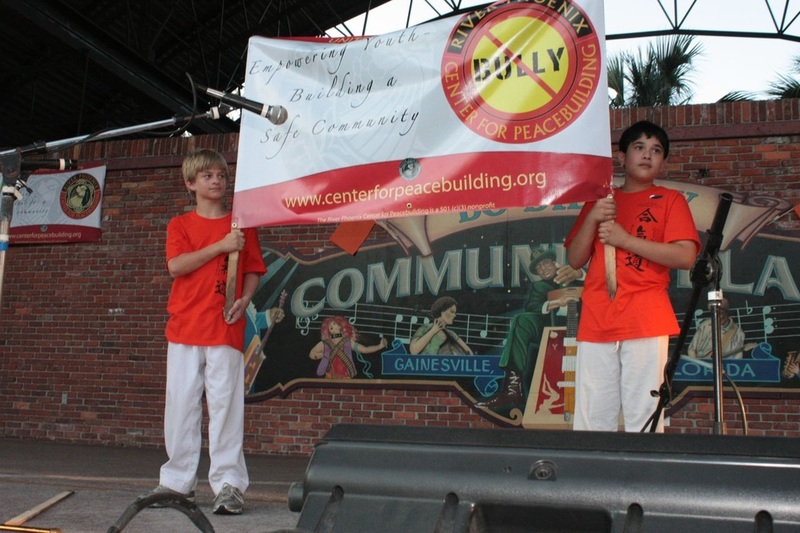 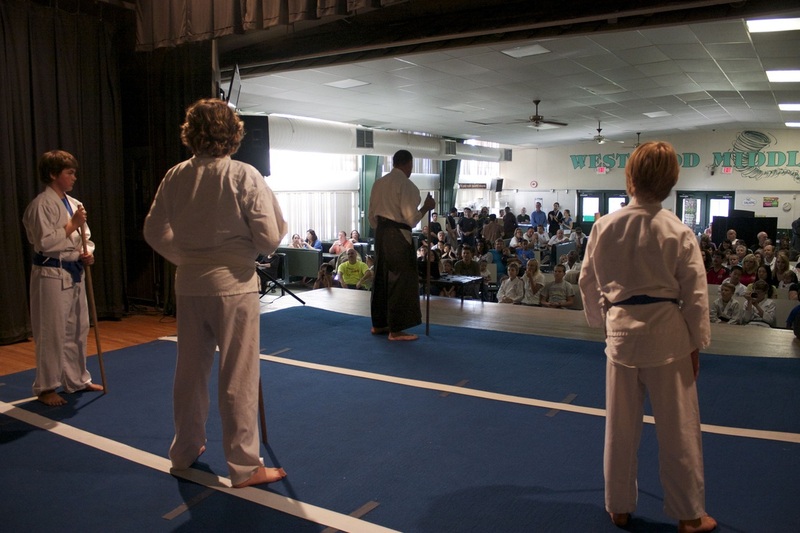 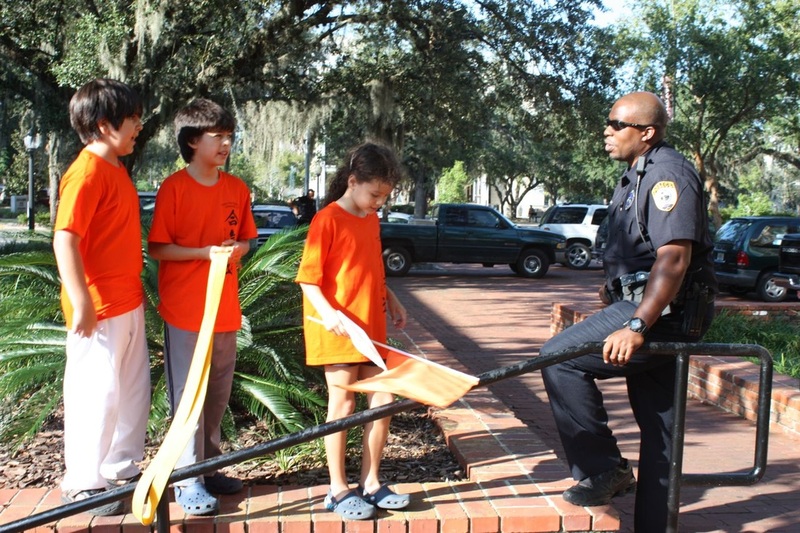 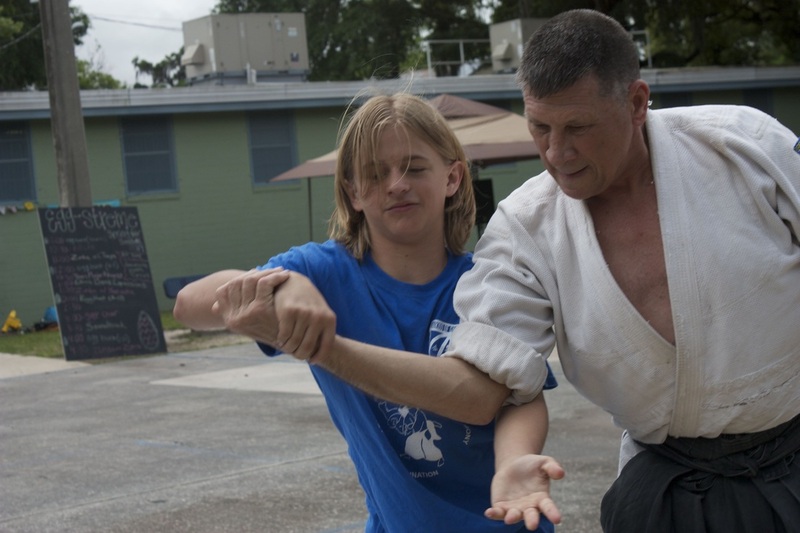 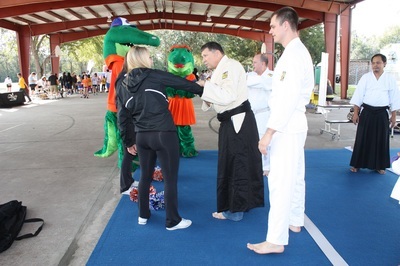 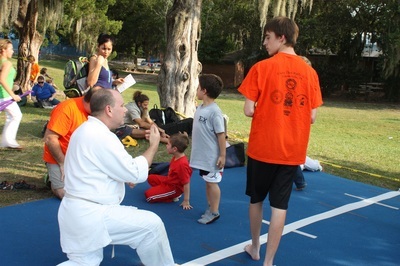 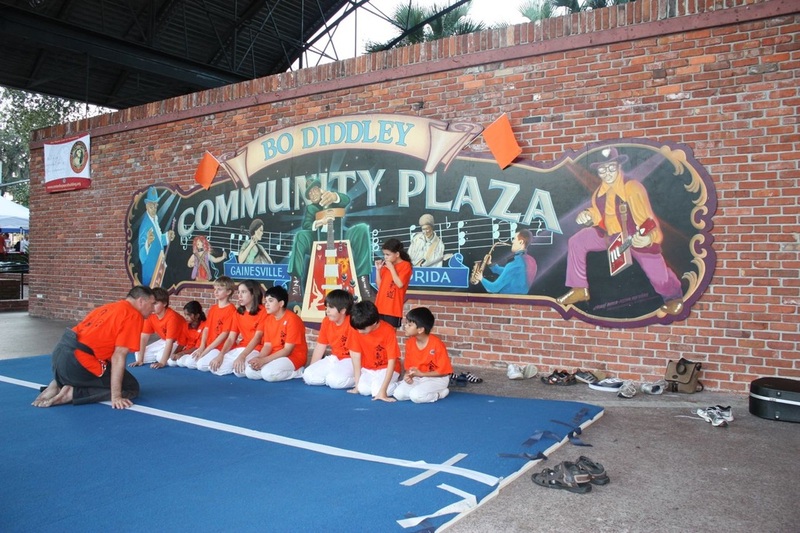 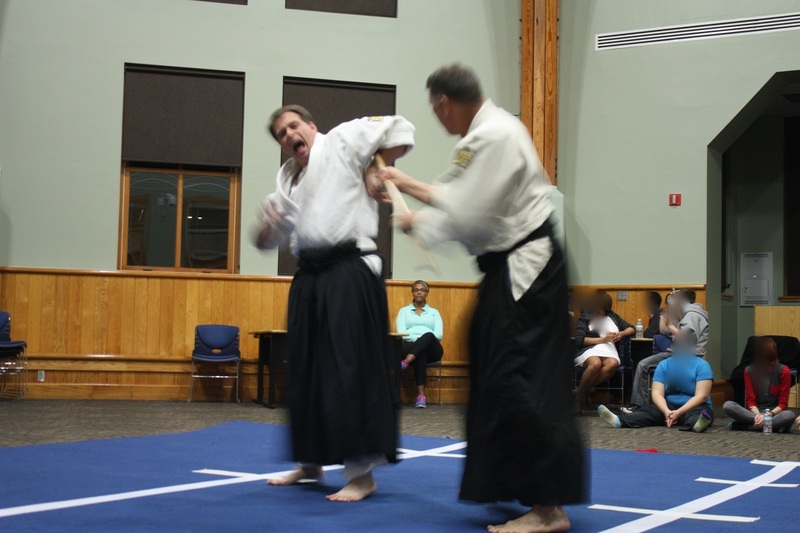 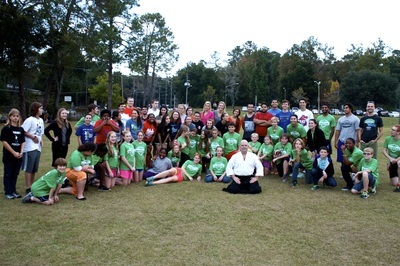 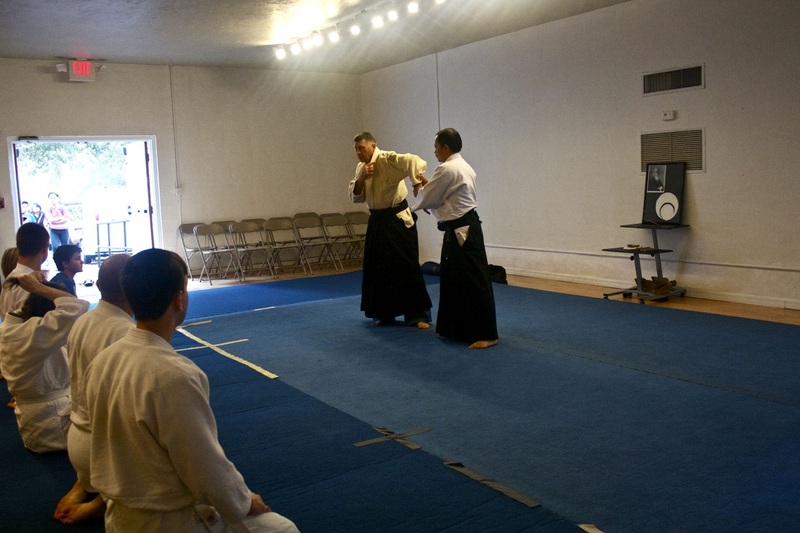 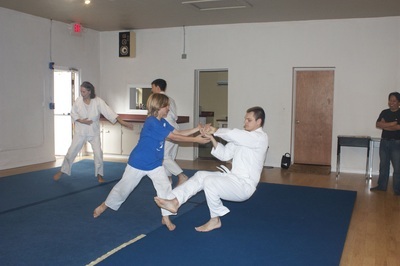 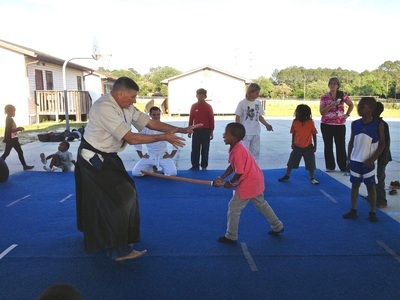 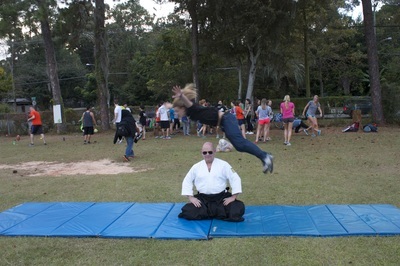 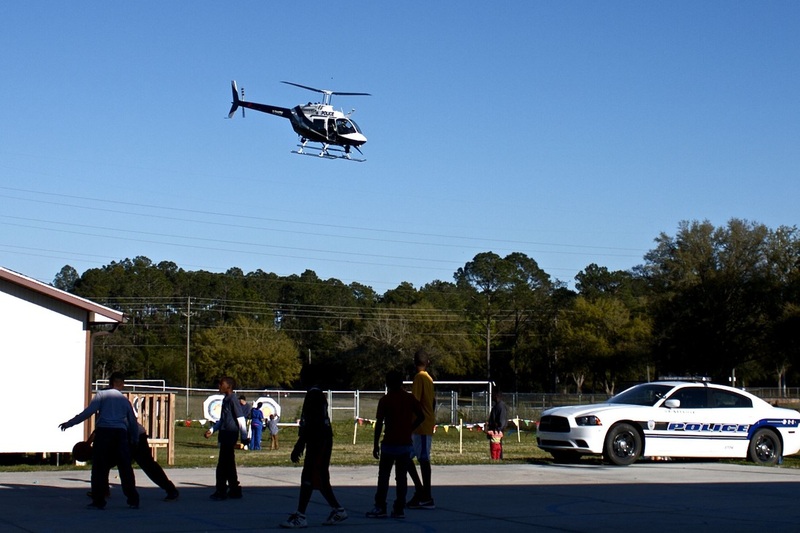 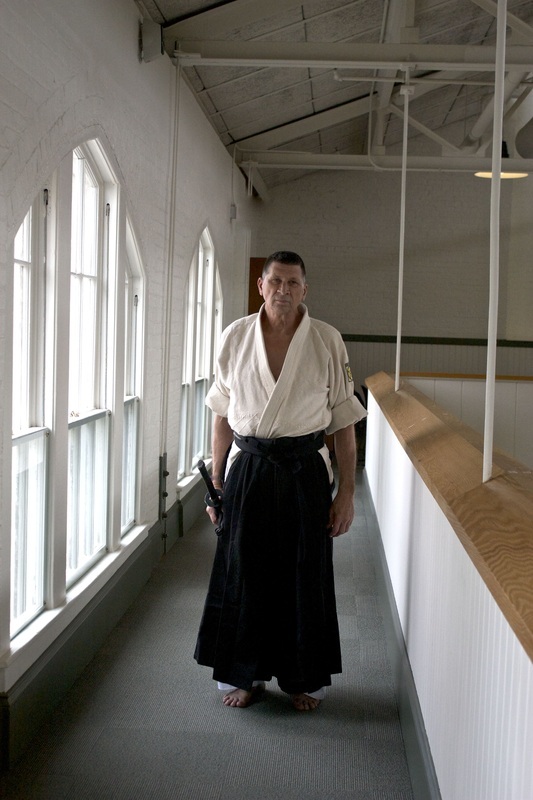 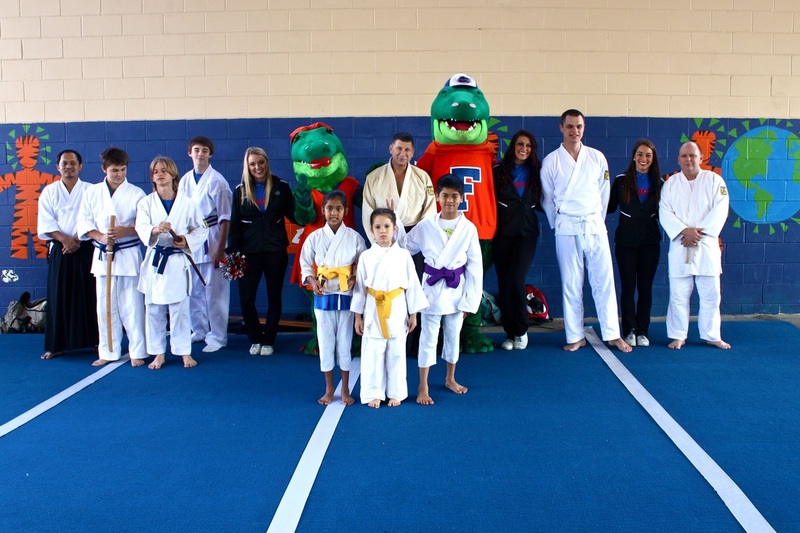 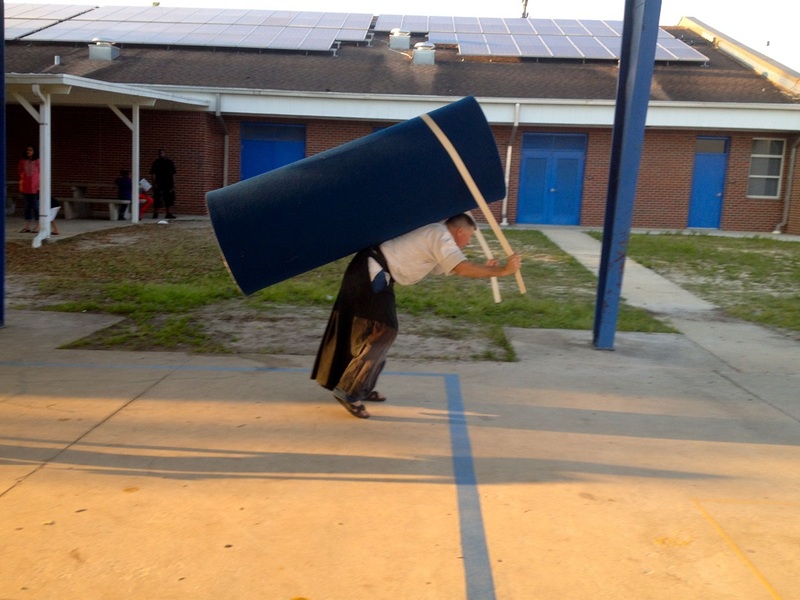 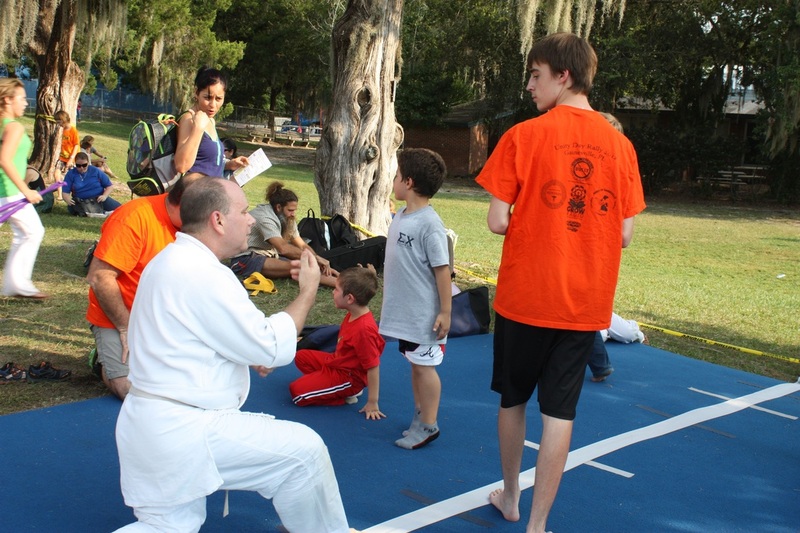 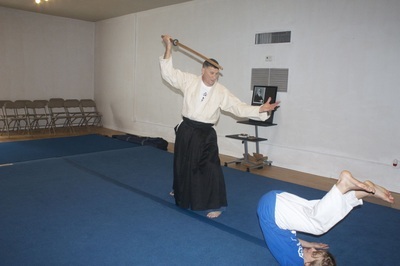 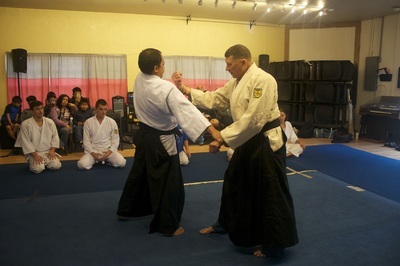 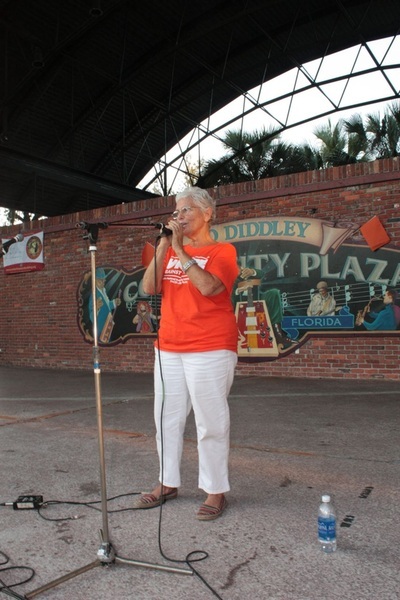 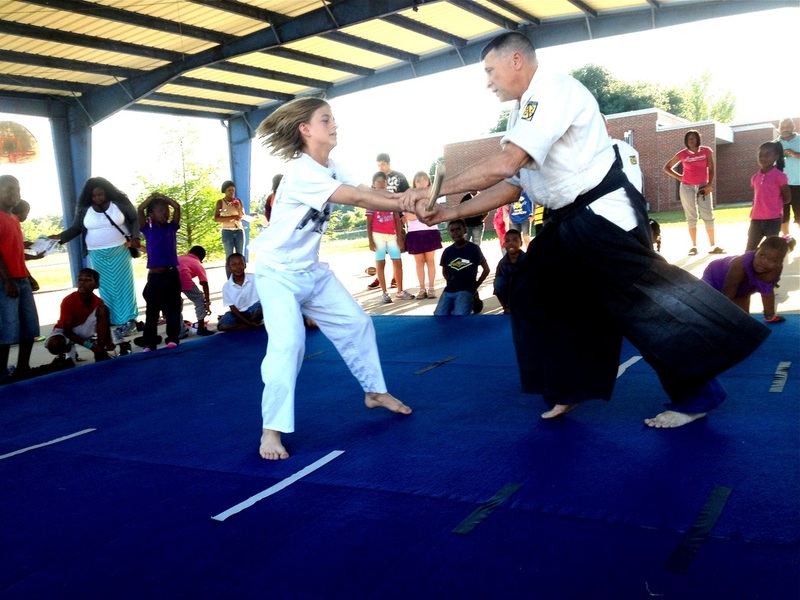 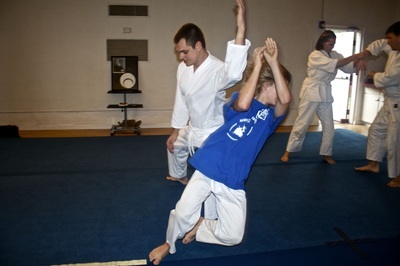 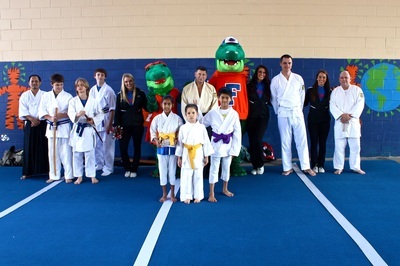 Invite Aikido of Gainesville to visit your school, organization or event; Contact us! 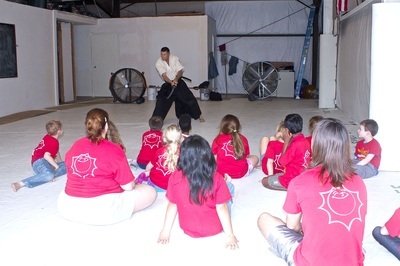 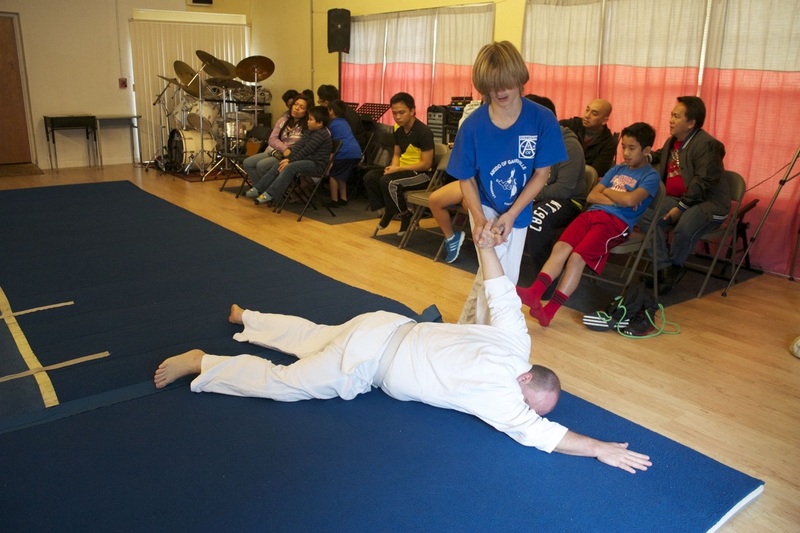 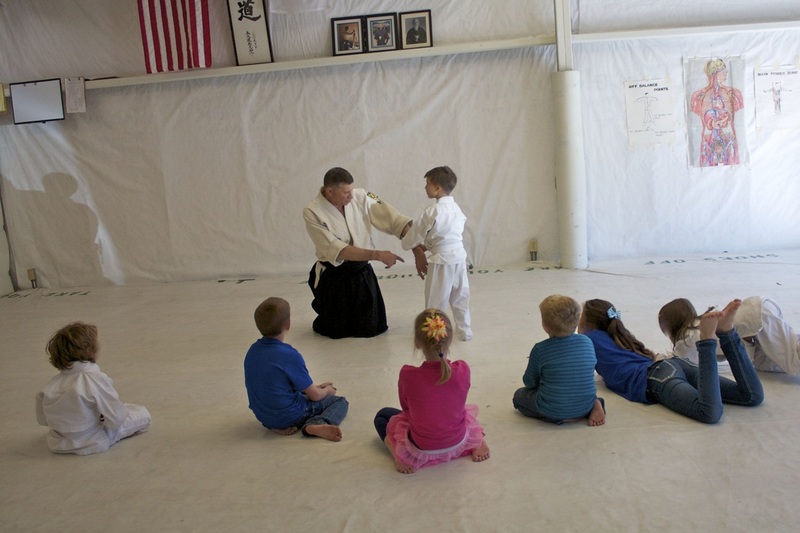 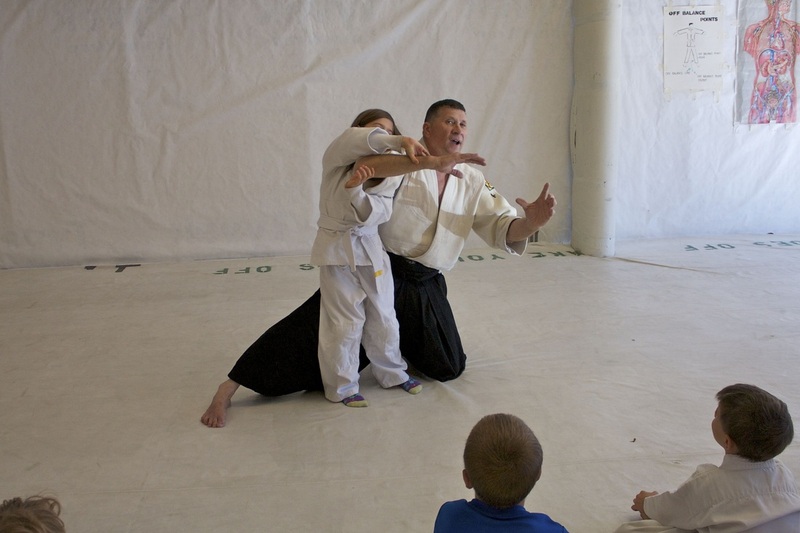 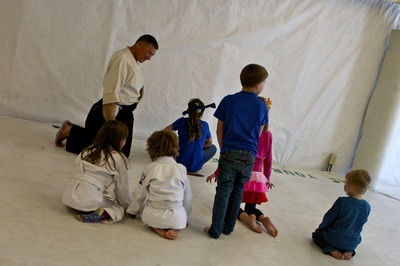 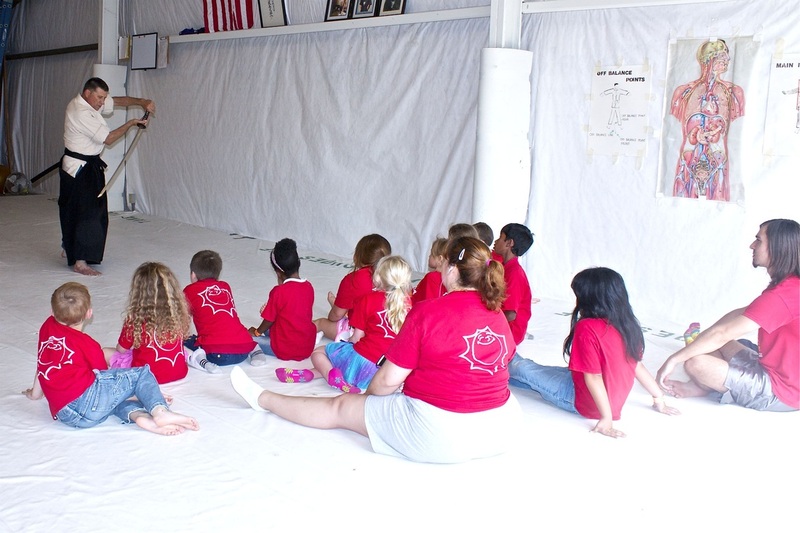 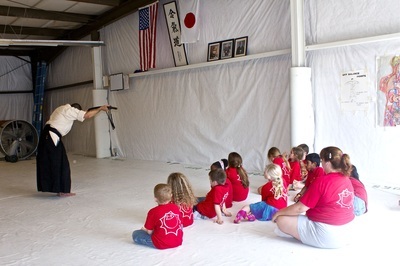 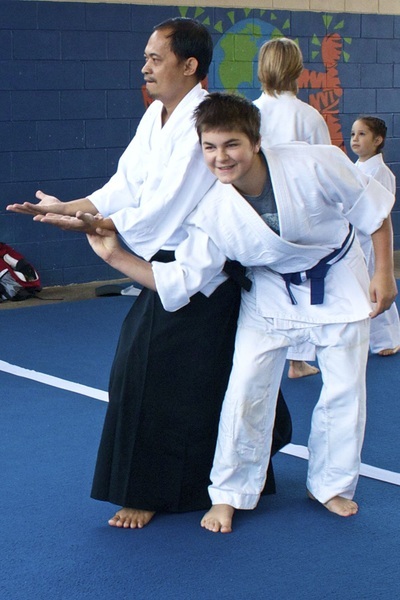 Free Aikido Saturdays for Kids and Teens! 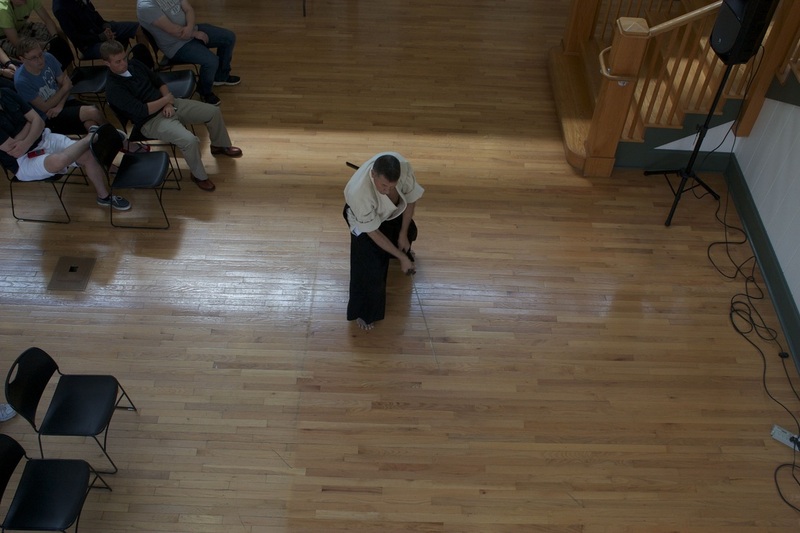 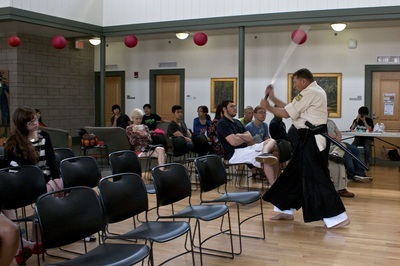 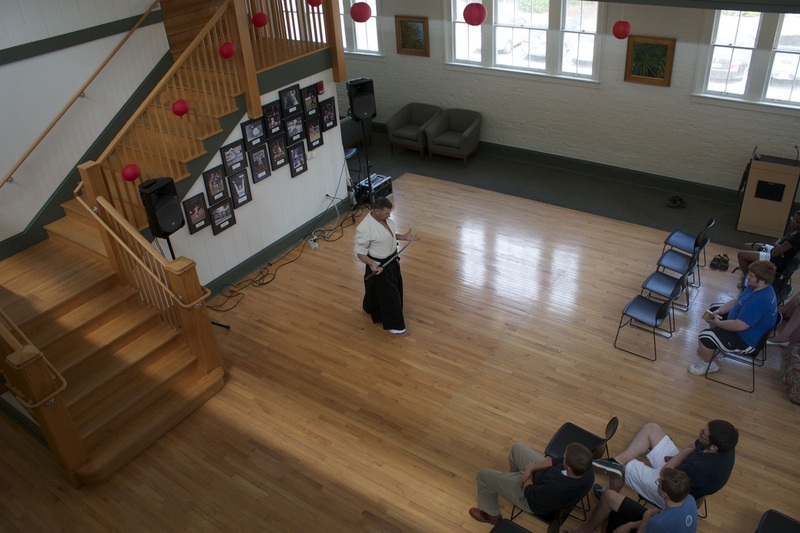 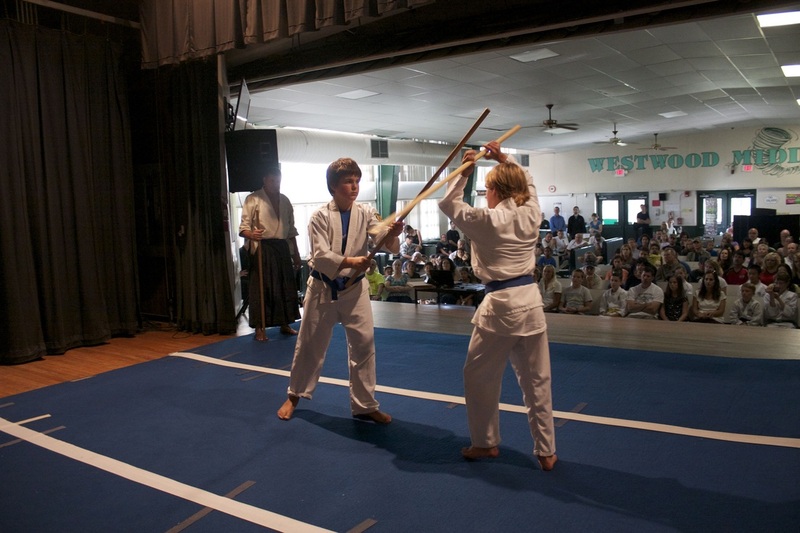 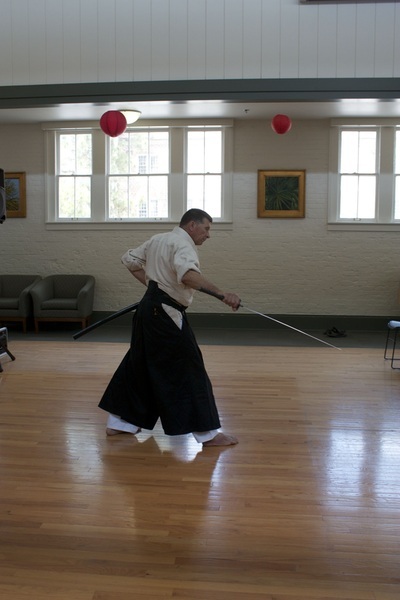 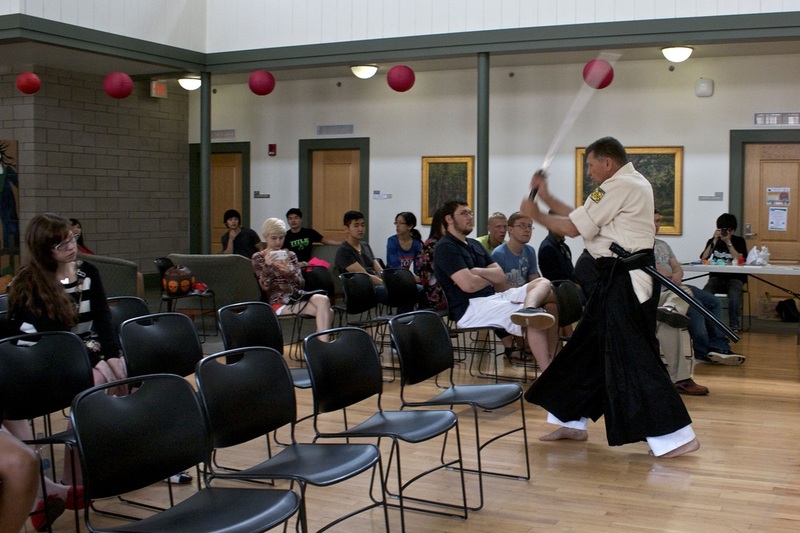 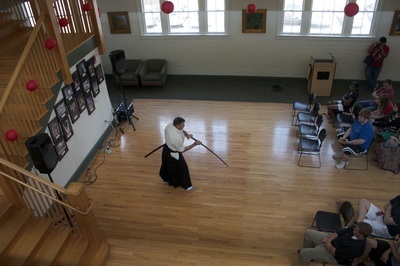 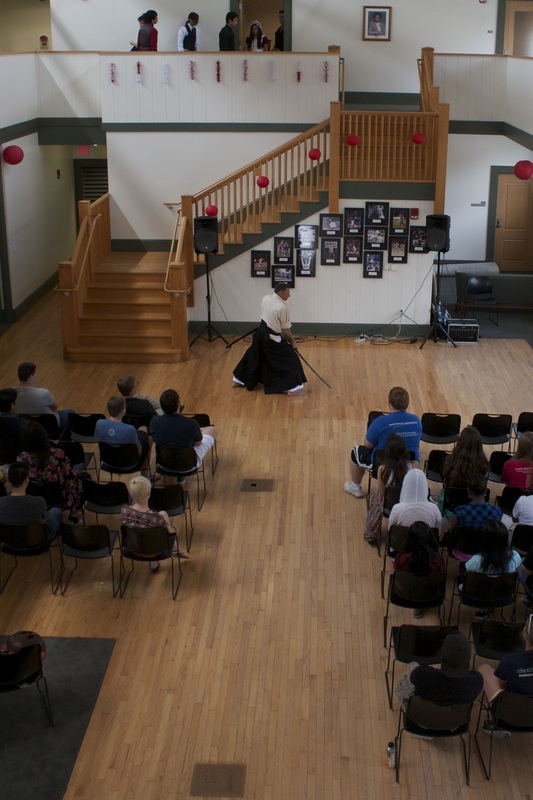 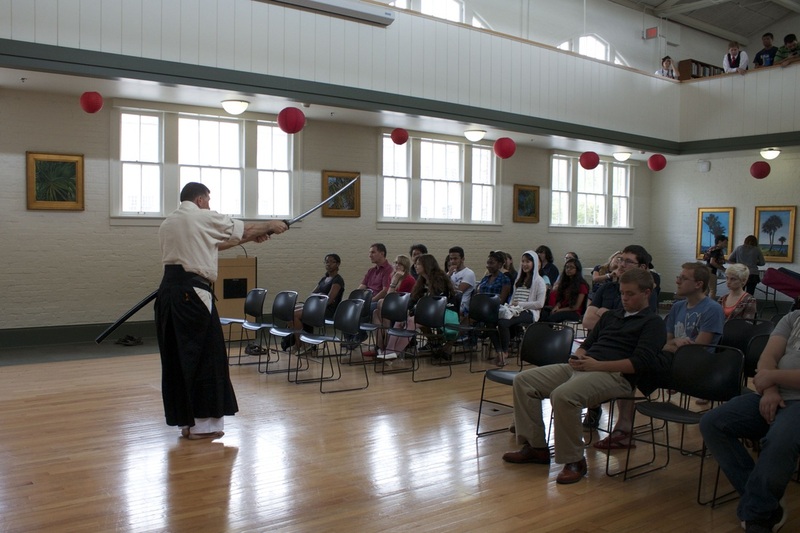 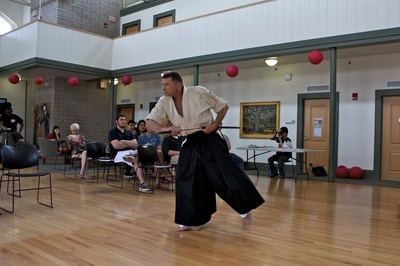 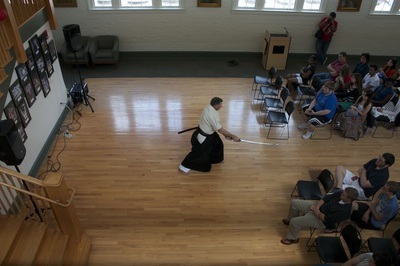 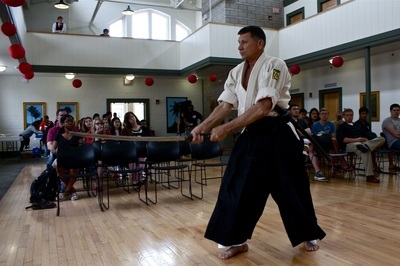 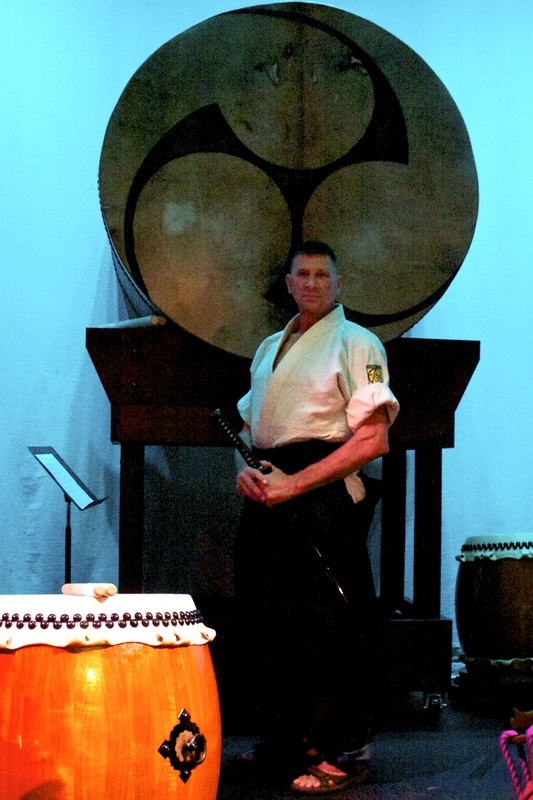 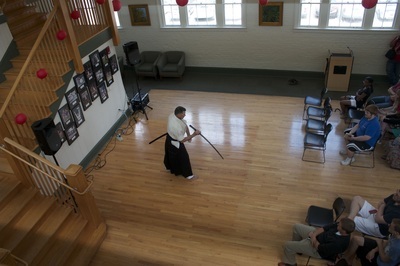 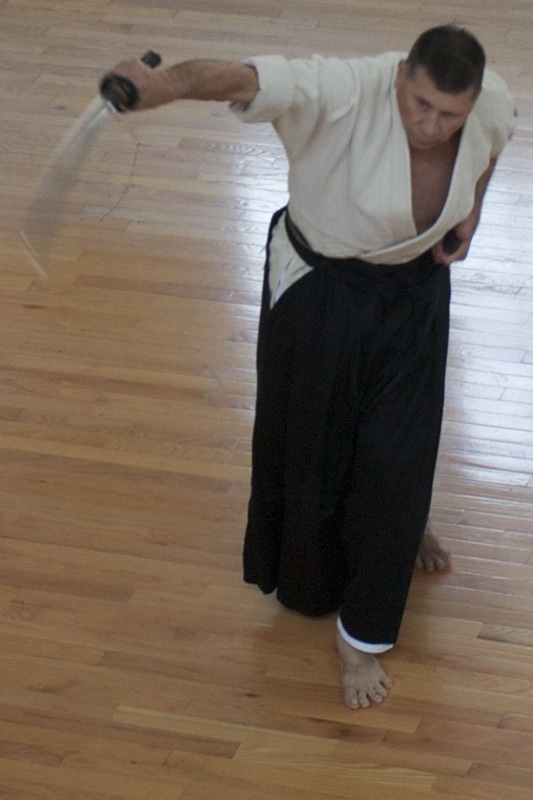 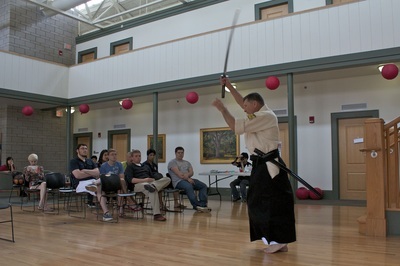 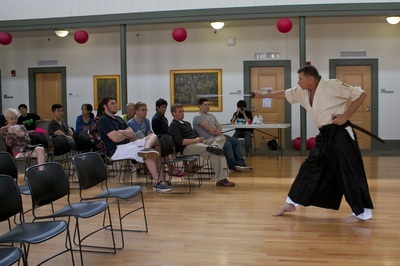 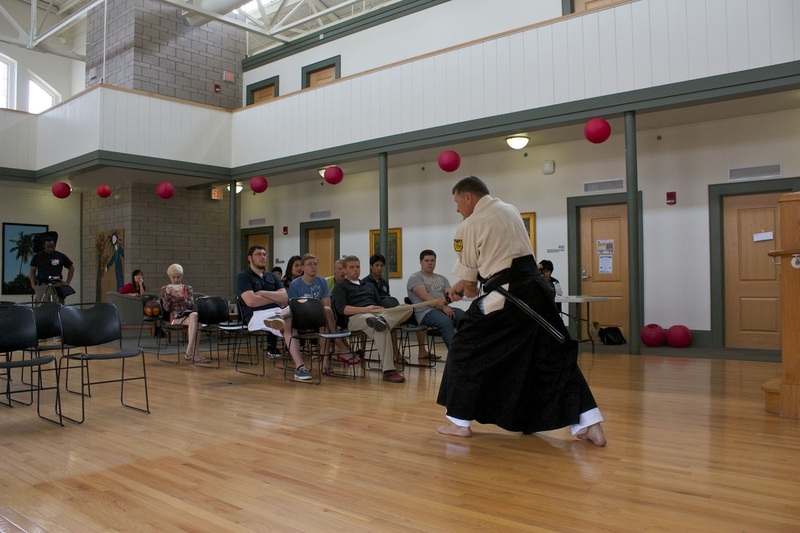 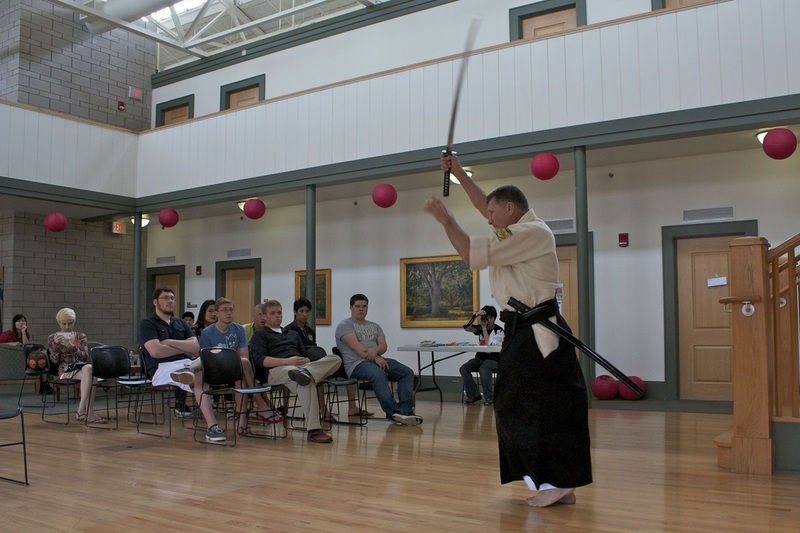 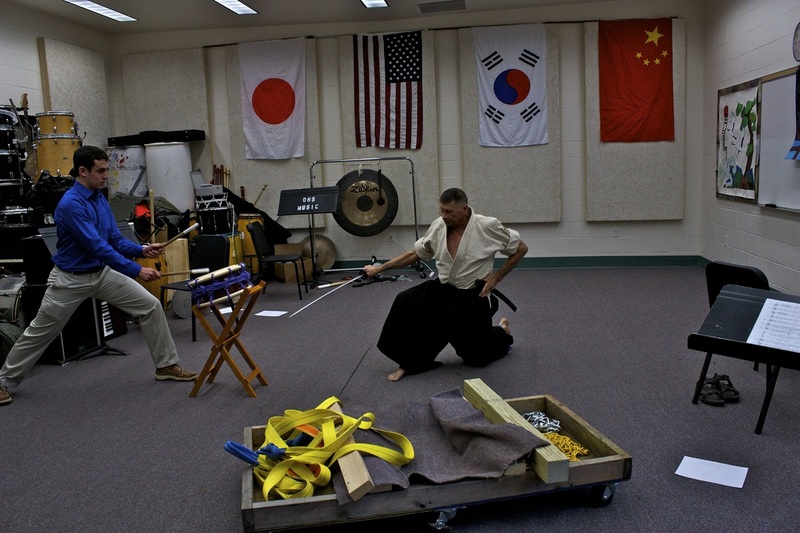 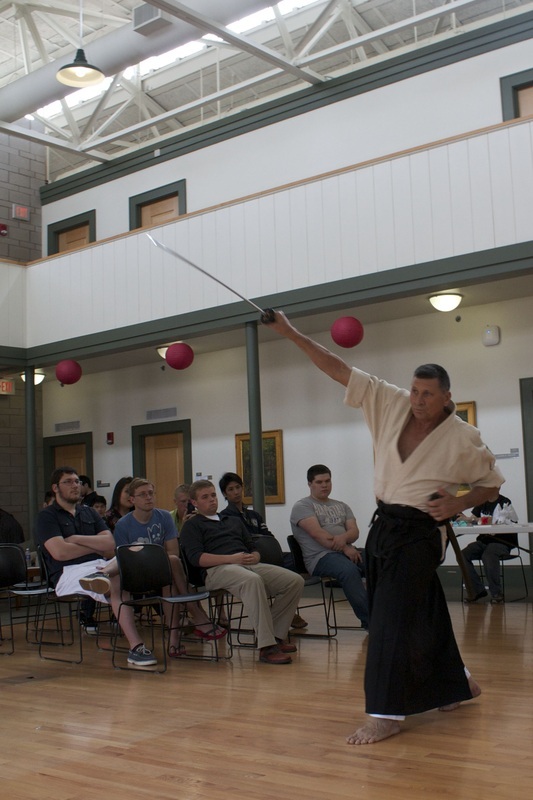 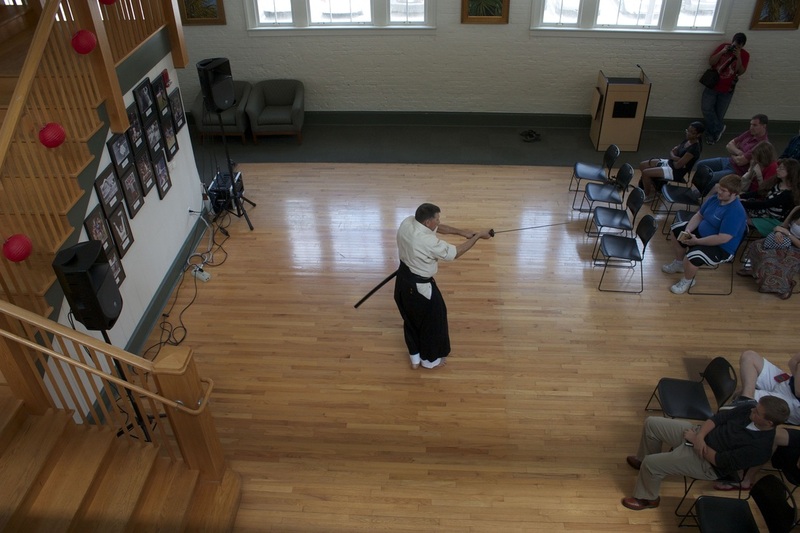 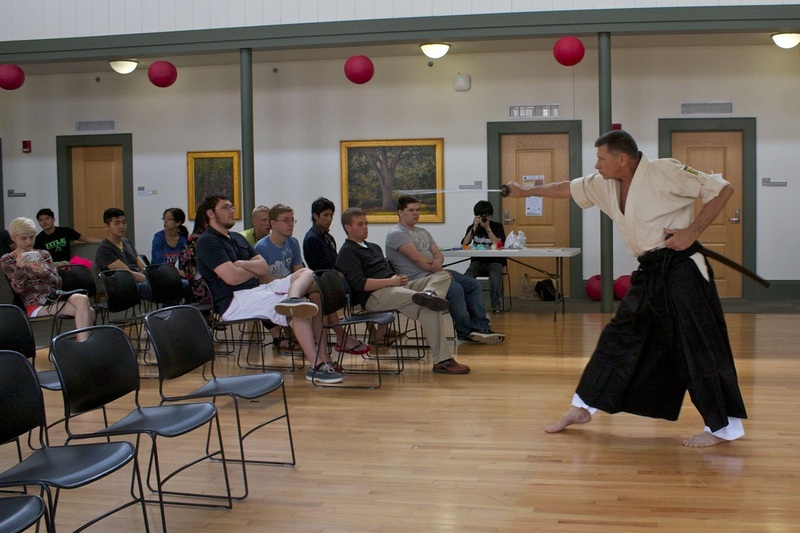 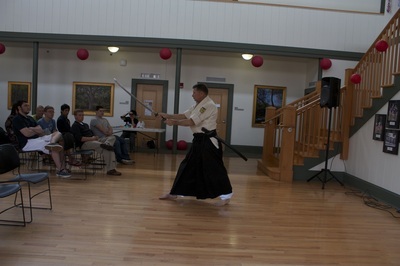 Oak Hall School Iaido demonstration May 2015 for school concert theme "Silk Road and Beyond" featuring first public performance of ODaiko, made by the school students for their Taiko drumming program, one of only a few in the country. They named the drum "Tonka." 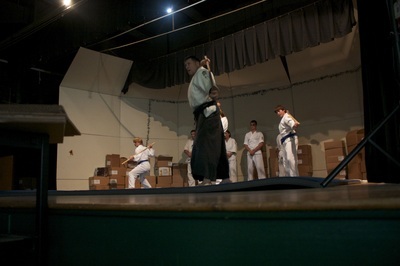 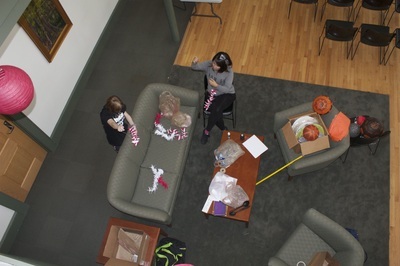 Pre-event rehearsal. First time Sensei has performed Iaido to taiko drumming. 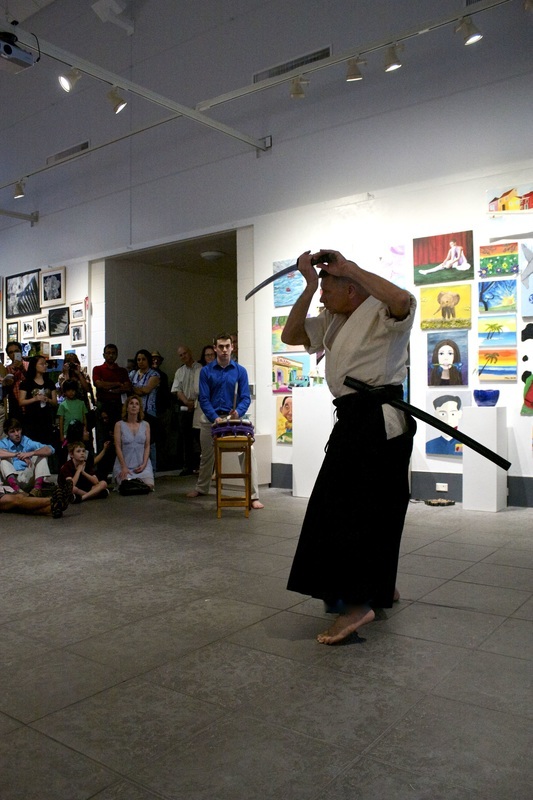 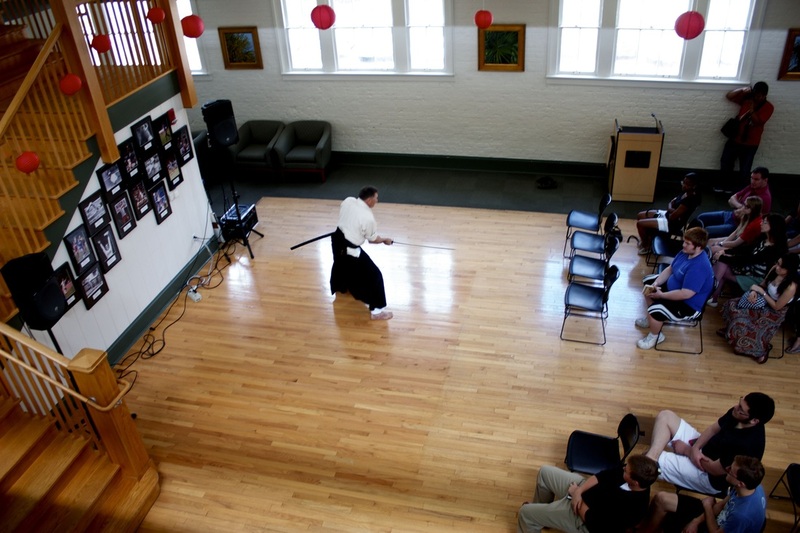 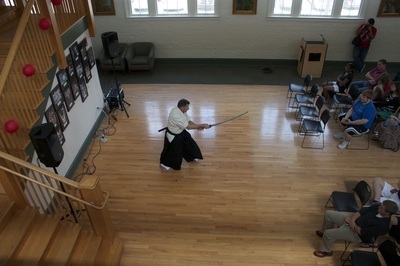 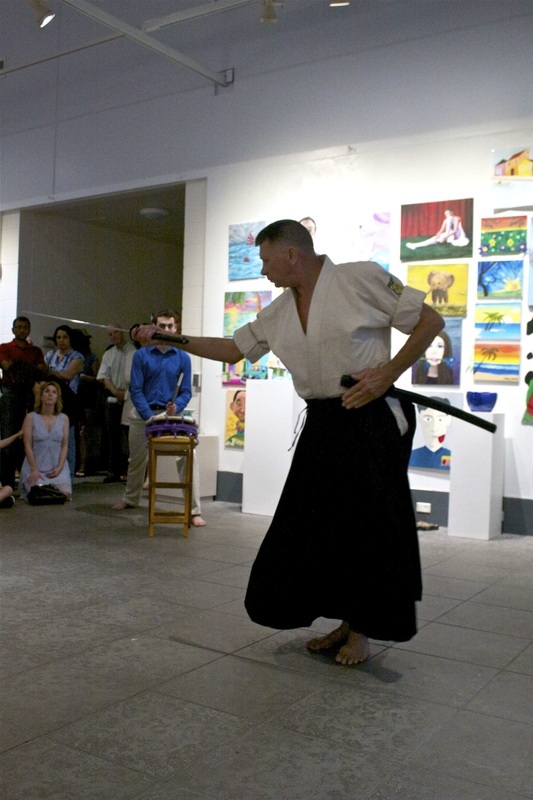 In the Cofrin Gallery demonstrating Iaido to a very attentive crowd. 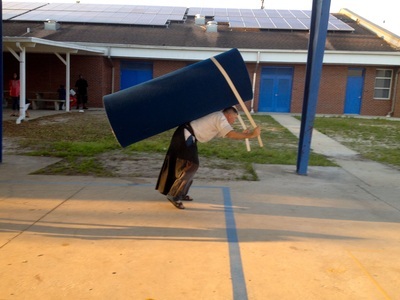 Hesitant to grab Keith's jacket…wonder why? 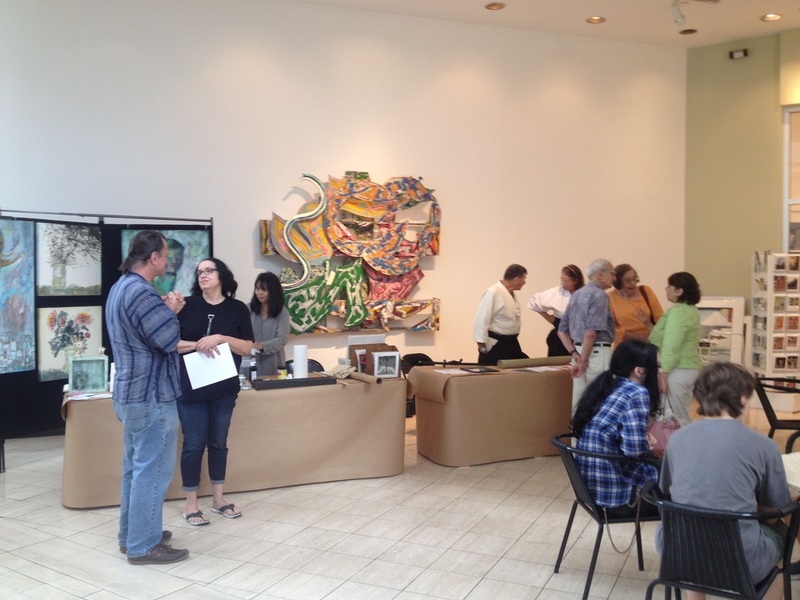 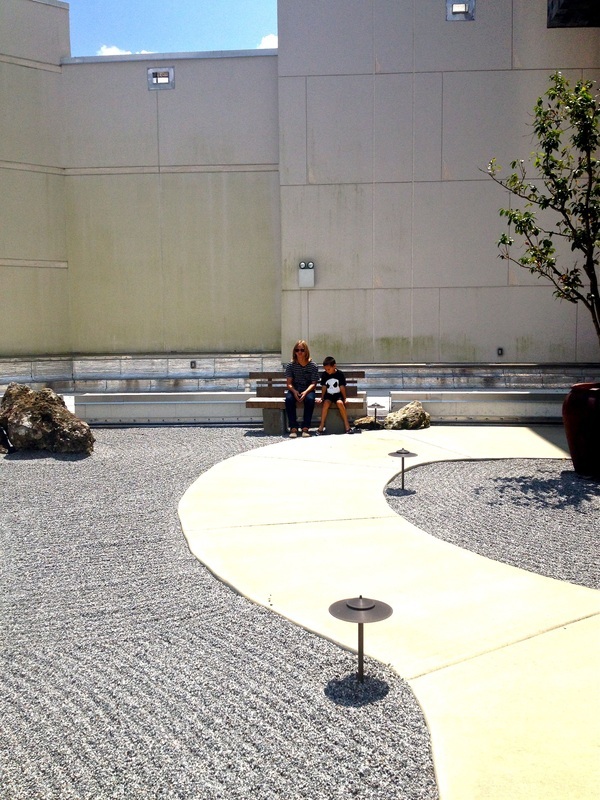 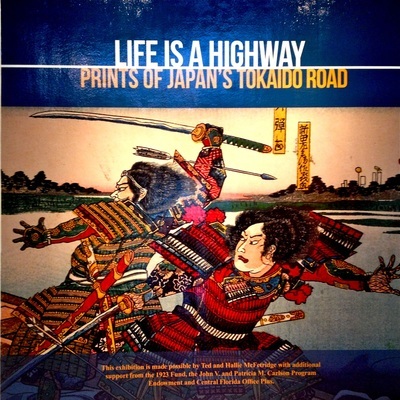 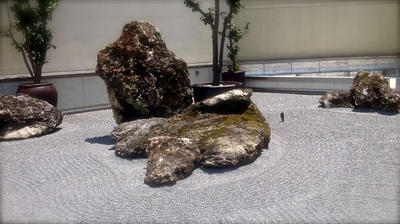 Harn Museum of Art "Life is a Highway Prints of Japan's Tokaido Road"
Sensei packing up the mats at end of the day. 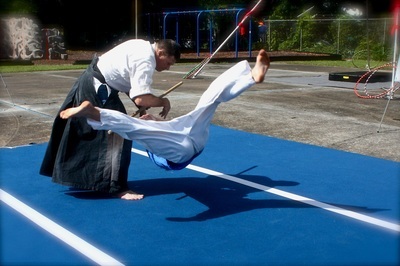 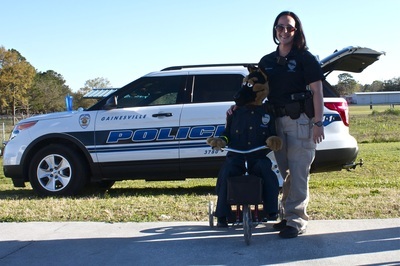 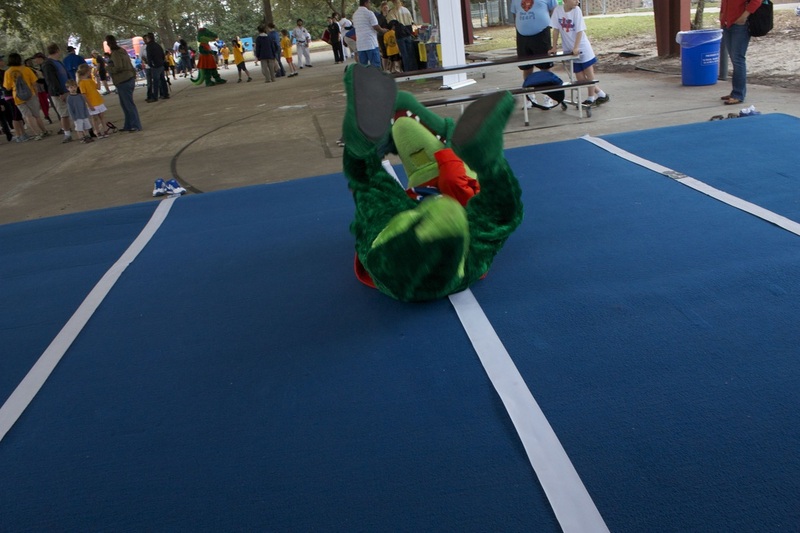 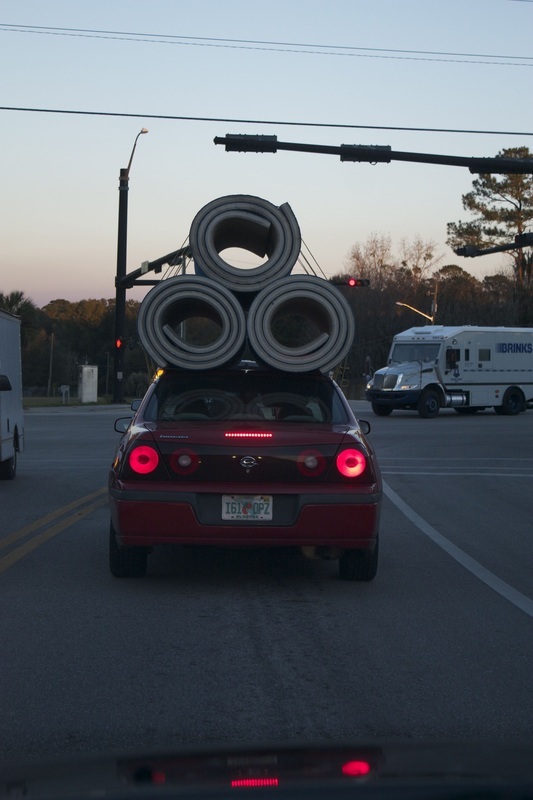 Now that's an 'aiki' spirit…taking a roll in that suit!